The Cats and Tribesmen county finalists will be determined on Sunday. O'Loughlin Gaels Brian Hogan and Ballyhale Shamrocks Colin Fennelly will be in opposition this weakend. These two sides have built up quite a rivalry in recent years. In 2010 O’Loughlin Gaels triumphed in the semi-final tie between the clubs by 2-16 to 3-10 and in the process halted Ballyhale Shamrocks drive for five-in-a-row. Last year Ballyhale Shamrocks gained revenge with a 2-18 to 3-12 success at the last four stage and now the teams return for a third consecutive semi-final meeting. 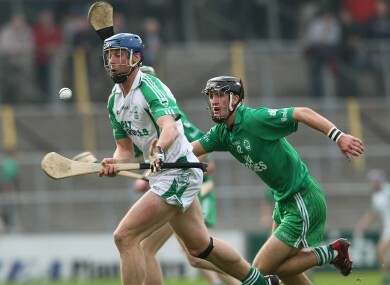 Ballyhale Shamrocks must operate without TJ Reid who continues to be sidelined through injury but they showcased their scoring potential in last week’s quarter-final win over Erins Own with Henry Shefflin, Colin Fennelly and James Fitzpatrick on board. O’Loughlin Gaels were boosted last week by a four-point win over Carrickshock, the recently crowned senior hurling league champions. The experience of Brian Hogan and Martin Comerford was central to that victory while in Mark Bergin and Mark Kelly they have a pair of exciting talents. Betting: Ballyhale Shamrocks 1/3, O’Loughlin Gaels 5/2, Draw 11/1. The reigning champions James Stephens launch the latest defence of their title here against Kilkenny city rivals Dicksboro. James Stephens will be aiming to reach their sixth final in nine years whereas Dicksboro, last year’s All-Ireland intermediate club finalists, last contested a senior decider on Noreside in 1994. Dicksboro have several promising young players like Cillian Buckley, Ollie Walsh and Martin Gaffney while Shane Maher bagged two goals in their 3-15 to 0-19 quarter-final success over St Martin’s last weekend. Yet James Stephens experience could prove critical with Jackie Tyrrell, Eoin Larkin and Matthew Ruth the county stars in their ranks. St Thomas are bidding to make history this weekend. Founded in 1968, when Peterswell and Kilchreest joined forces, they have yet to feature in a Galway county final. If they were to triumph here then it would ensure they gained revenge for last year’s semi-final loss when Gort triumphed by 1-11 to 0-10. St Thomas hopes of achieving that goal are boosted by the form they displayed in blowing away Castlegar last weekend while Conor Cooney, James Regan, David and Daithi Burke were all part of the Galway senior squad this year. Gort are the reigning champions and will be aiming to get back into the All-Ireland series after losing out at the semi-final stage against Offaly’s Coolderry last February. Aidan Harte, Richie Cummins and Jason Grealish are the key figures in the line-up of the South Galway club. Yet St Thomas are an emerging force in Galway club hurling who may be poised to reach their first final. Turloughmore are chasing their first final appearance since 1990 here and will be boosted by the scalp they claimed in Portumna at the quarter-final stage by 0-17 to 0-15. They have a fine team with county captain Fergal Moore and former Galway duo Cathal Moore and Francis Forde providing great experience. In addition young attackers Gary Burke and Ronan Badger impressed in that success against Portumna while defender Daithi Burke is a cornerstone of their team who has previously county championship success at senior football level with Corofin. Loughrea, champions in 2006, have been consistent challengers at this stage of the season and lost out in the 2009 and 2010 finals, the latter occasion in extra-time after a replay to Clarinbridge. In last weekend’s quarter-final replay encounter against Mullagh, Loughrea finally emerged victorious by three points. Johnny Coen and Paul Hoban were both part of Anthony Cunningham’s Galway senior squad this year while Johnny O’Loughlin, Damien McClearn and Johnny Maher are vastly experienced operators. That blend could prove decisive. Email “Last four reached on club hurling stage in Kilkenny and Galway ”. Feedback on “Last four reached on club hurling stage in Kilkenny and Galway ”.